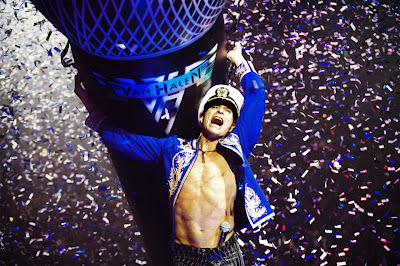 Van Halen frontman David Lee Roth talks about his personal history with, and connection to, professional wrestling in the latest episode of The Roth Show. It’s the 15th edition in the online show’s series, which provides the singer with a creative outlet while Van Halen are off the road. The group recently headlined The Stone Music Festival in Australia, and are scheduled to play four concerts in Japan in June. Van Halen will perform at the RockUSA Festival in Oshkosh, WI on July 20, and have recently announced that they’ll play the California Mid-State Fair in Paso Robles, CA on July 24. Tickets for the show at the Chumash Grandstand Arena go on sale this Friday, May 17 at 10:00a. Van Halen tour announcement due soon? 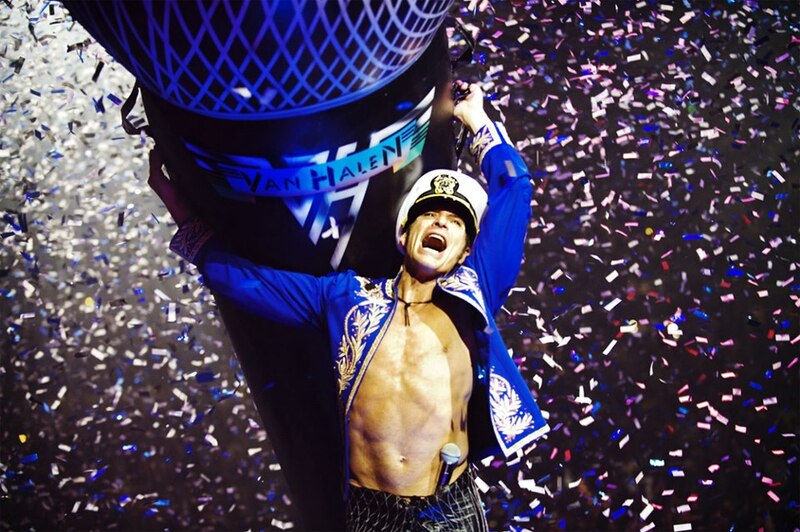 Van Halen’s David Lee Roth: Future Nirvana frontman? PHOTO: Eddie Van Halen attends Smashing Pumpkins show in L.A.